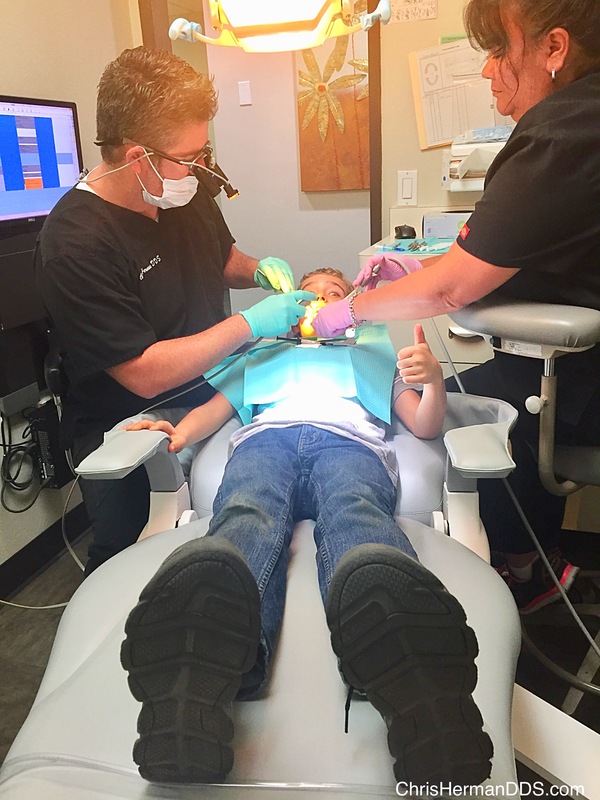 Dental Sealants | Chris M. Herman D.D.S. Applying sealants does not require drilling or removing tooth structure. The process is short and easy. After the tooth is cleaned, a special gel is placed on the chewing surface for a few seconds. The tooth is then washed off and dried. Then, the sealant is painted on the tooth. Dr. Herman then shines a light on the tooth to help harden the sealant. It takes about a minute for the sealant to form a protective shield.